Barnyard Blaster                Datafast Computer Services? MotorPsycho                     John Boeschen & Co.
ITDC stood for "International Technology Development Corporation" and had a subsidiary in China called Shanghai Software Consortium, so it's possible these were done over there. Jinks was programmed by Peter Pachla, who has said he worked for US Gold. Is there any evidence Imagineering did this? Robert Neve did the original ST version, but the 2600 version was farmed out, so it's possible this was, too. Jinks, Gauntlet and Tower Toppler were Graftgold not US Gold. Gauntlet might have been done by Graftgold, since you said in the other thead it was programmed later than the other two. But in this message on the stella mailing list Peter Pachla mentions that he worked at US Gold when he converted games to the 7800. And in this post on rec.games.video.classic he says that Tower Toppler was developed on the desk next to his at US Gold at the same time he created Jinks. Edited by Eckhard Stolberg, Sun Jan 9, 2011 1:38 PM. US Gold were a publisher and according to the boxes of both games they licensed the games to Atari. I think somebody got confused along the way. Edited by The_Laird, Sun Jan 9, 2011 2:00 PM. U.S. Gold was both, publisher and developer. John M. Phillips wrote Nebulus (Tower Toppler) for Hewson. Tower Toppler was released on numerous platforms incl. NES, but never written by Graftgold. Edited by high voltage, Sun Jan 9, 2011 3:19 PM. No, Softgold Computerspiele GmbH was a German publisher who bought Rainbow Arts. Rainbow Arts was the company that created the original C64 version of Jinks. 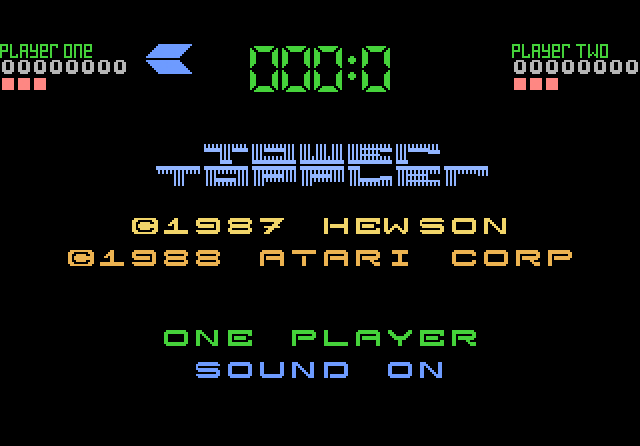 Besides Graftgold games Hewson also published the original C64 version of Tower Toppler (Nebulus in Europe). That one was programmed by John M. Pillips. Graftgold had nothing to do with it. www.graftgold.com lists (all ?) their games and programmers. There is no mention of Peter Pachla or any games for the 7800 on that site. IIRC Peter mentioned being from the Birmingham area and probably still lives there. I think US Gold was from there too. Do you know where Graftgold was from and if they had an office in Birmingham as well? BTW, I saw that there are currently at least two sellers offering several issues of ACE magazine from 1989/1990 on ebay.co.uk. Maybe you could ask them if one of those magazines contains the article about Gauntlet 7800 that you mentioned. Then we would at least know which issue to look for (or not to look for, if it's none of the ones available). Edited by Eckhard Stolberg, Sun Jan 9, 2011 3:48 PM. Yeah its all certainly very confusing when a person has stated to have worked/known who worked on games for the 7800 when they are credited to different developers. I was about to repost myself after I had been looking stuff up and saw the Rainbows Arts/Softgold connection. Perhaps the list should be expanded to list the programmers who worked on the game where known. I've seen the interview before. He doesn't actually say he did the 2600 and 7800 versions. 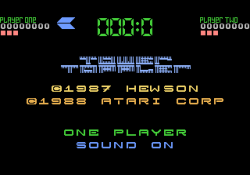 Randy Bowker worked on the 2600 version at Zip Technologies.